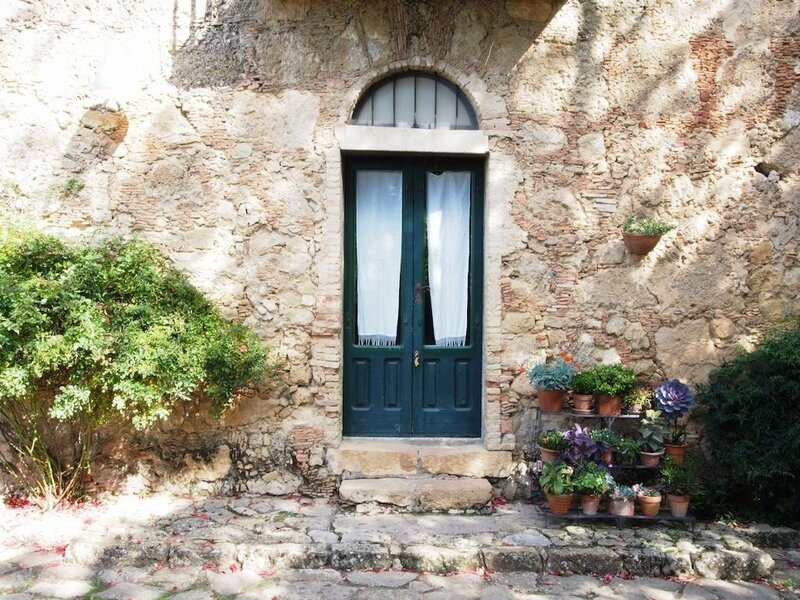 Agriturismo Bannata is a lovely, rustic masseria farmhouse hotel in a great location in central Sicily, Italy. It is near both the spectacular city of Enna and the historic, artistic town of Piazza Armerina with its UNESCO world heritage site Villa Romana del Casale. The food here is excellent, and not only breakfast, they serve really good lunch and dinners too, with a wide variety of Sicilian and Italian food and wine. They include plenty of vegetarian options and a good deal of the ingredients come fresh from their own farm. The friendly owners are always happy to organize cooking classes too, just ask! The farm has olive and almond trees plus various other fruits, vegetables and crops. As mentioned before they use a lot of their own ingredients in the food they serve at the farmhouse, and they also produce olive oil, almonds and cereals. The agriturismo is just 6km from the lovely, historic town of Piazza Armerina, in the very heart of Sicily. Many tourists pass this way to see the 4th-century Romana del Casale, a UNESCO world heritage site which has over 3,500 square meters of mosaic floors, but there is plenty more to keep the discerning visitor in the area. There is the city of Enna, less than a half an hour from Agriturismo Bannata, it is Italy’s highest provincial capital and a spectacular sight, sitting on a hilltop 900 meters above sea level. It has a long and important history too once being the main site of devotion to the Roman Goddess Ceres and with its strategic position being coveted by practically every invader of Sicily. It, not surprisingly, has plenty of historical sites including the Norman era Torre di Federico and Castello di Lombardia, and the Roman era the Rock of Ceres. There is plenty more to be seen and the agriturismo-masseria owners are a good source of information. They can also organize various tours of the surrounding area for guests, including Enna, Piazza Armerina, local waterways and nature reserves, plus visits to producers of traditional food and handicrafts.